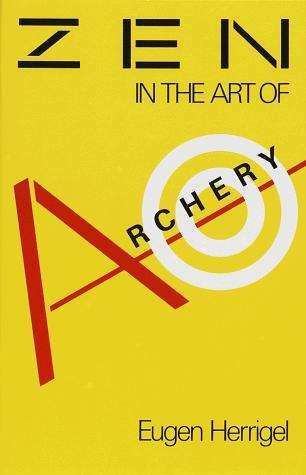 Since its original publication in 1953, Zen in the Art of Archery has become one of the classic works on Eastern philosophy, the first book to delve deeply into the role of Zen in philosophy, development, and practice of Eastern martial arts. Wise, deeply personal, and frequently charming, it is the story of one man's penetration of the theory and practice of Zen Buddhism. Eugen Herrigel, a German professor who taught philosophy in Tokyo, took up the study of archery as a step toward the understanding of Zen. Zen in the Art of Archery is the account of the six years he spent as the student of one of Japan's great Zen masters, and the process by which he overcame his initial inhibitions and began to look toward new ways of seeing and understanding. As one of the first Westerners to delve deeply into Zen Buddhism, Herrigel was a key figure in the popularization of Eastern thought in the West, as well as being a captivating and illuminating writer.